Come and enjoy a premier urban lifestyle at the Grand Central at Kennedy. 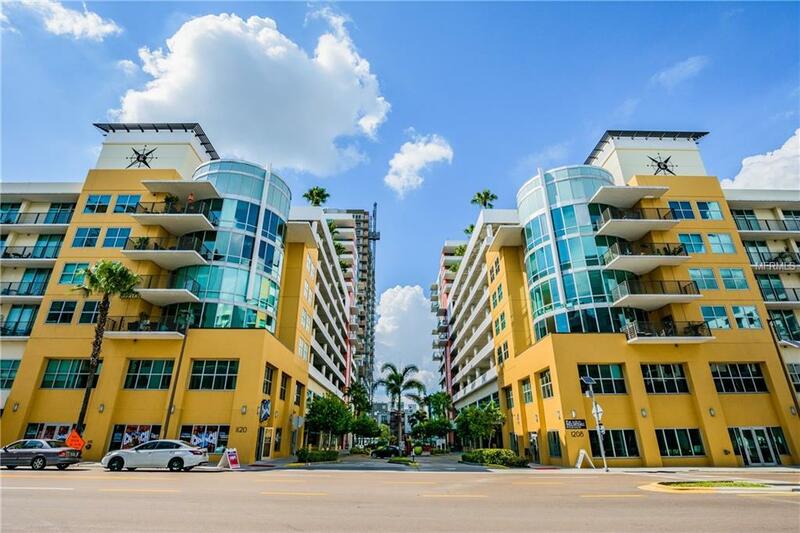 This unit boasts very rare and sought after 114 ceilings and floor-to-ceiling windows that offer panoramic views of Ybor City and the Port of Tampa - ceilings are 2 feet higher than most units in the building and you can feel the added spaciousness. 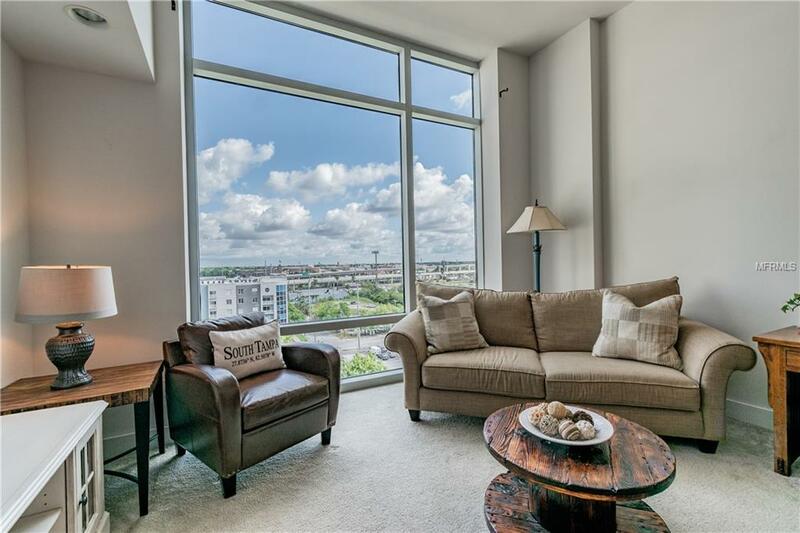 In the heart of the trendy Channel District, this is Downtown Tampa living at its finest. 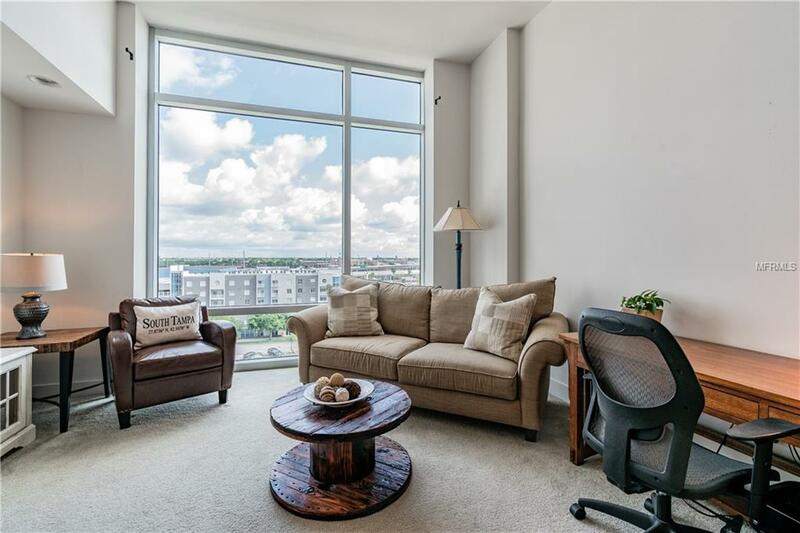 This one bedroom, one bath studio condo is equipped with top of the line Viking professional stainless appliances, including a gas range, refrigerator, microwave, dishwasher, and trash compactor. The gourmet style kitchen also features a large island bar with granite countertops. The stackable washer and gas dryer are also included in this energy efficient unit. 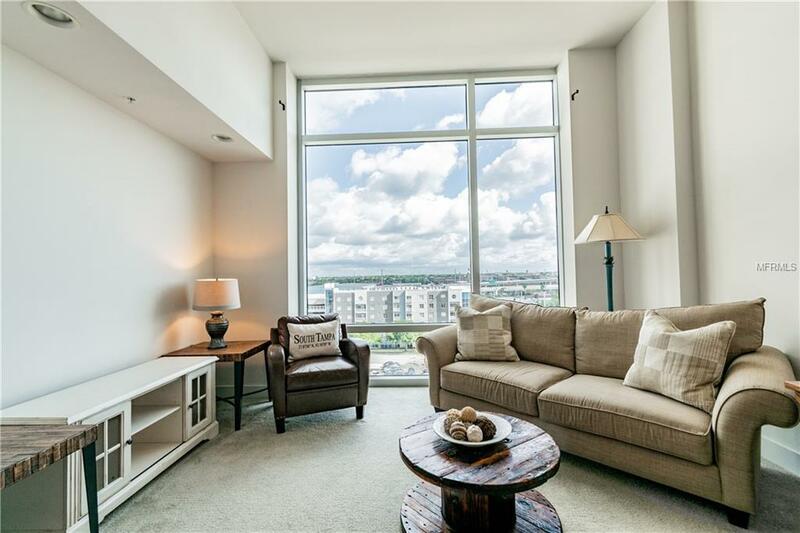 This pet friendly community includes 24-hour concierge service, 9th floor open air pool and deck, spa, outdoor grilling areas, dog walks, fitness center, jogging/walking track and so much more. Includes one assigned parking spot conveniently located on the same level as the unit. Ample visitor parking is free for the first 90 minutes. The ground level includes restaurants such as Cena, bars, Crunch Fitness, a coffee house, Massage Envy, Channelside Nail Salon, a dry cleaner and a new Publix will be opening soon next door. Take the trolley to Ybor, The Convention Center, museums, the aquarium, movies, Amelie Arena, and Tampa Riverwalk activities. You will love where you live at the Grand Central at Kennedy. Additional Lease Restrictions 7 Month Min. Hoa Approval Required. Pet Restrictions Max Three Pets/Household No Weight Limit No Breed Restriction. Dog Must Register With Hoa For $45/Dog.